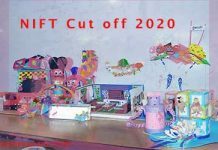 NIFT Question Paper 2020: Candidates who want to clear the examination should practice NIFT Previous Year Papers. Candidates should not study only but solve NIFT Sample Papers also. It will boost the confidence of candidates as well as their knowledge about the subject. Therefore, it is advised to all to take the help of NIFT Entrance Exam Papers before appearing in NIFT 2020. NIFT Question Paper PDF is also available on this page so that candidates can download. NIFT Mock Test Paper will give the idea of the exam pattern and marking scheme. Along with the serious study, analyzing the question papers of NIFT is equally important. Candidates should practice NIFT 2 to 3 Years Previous Paper so that they can get to know about the level of examination. 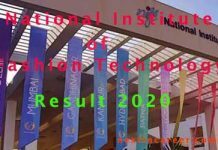 NIFT 2020 Exam Question Paper will carry the questions from the topic available in NIFT Syllabus. The practice of NIFT Previous/ Last Year Question Paper will make the candidate improve the question-solving speed. Hence, after completing a topic or subject solve NIFT Mock Test Papers as much as you can. Candidates can Download the NIFT Model Paper PDF which is available below. In this section, candidates can download NIFT B.F.Tech Paper PDF, NIFT M.F.Tech Paper PDF, NIFT Design Paper PDF. Download the PDF of NIFT B.Des. Paper, NIFT M.Des. Paper and take the printout of it so that you can practice in a better way. In order to make your preparation better, solving NIFT Sample Papers and NIFT Question Paper is a good idea. Further, check the PDF of NIFT Mock Test Papers below. By observing NIFT Question Paper, candidates will get to know about the exam pattern of NIFT. In fact, the previous year papers of NIFT will give an idea of total questions, total marks, difficulty level, and others. Therefore, do not forget to practice the NIFT Sample Papers. There will be a General Ability Test (GAT) and Creative Ability Test (CAT) for Design and Fashion Technology. Further, check the exam scheme of NIFT below.